The Bollywood film Chandni Chowk to China has been banned in Nepal because of a scene suggesting the Buddha was born in India, officials say. We've banned the screening of the movie in theatres across the country considering the growing public protests over controversial remarks in the film, home ministry spokesman Nabin Ghimire told AFP. The film is a Bollywood co-production with the US studio, Warner Brothers. It tells of a lowly Indian chef who is mistaken for the reincarnation of a fabled Chinese warrior. Its official website says that it is the first ever Bollywood kung-fu comedy. A spokesman for the ministry of information told AFP that while the offending scene had been deleted, it could not be removed from pirated DVDs and videos that are smuggled into the country. The spokesman said that the foreign ministry had also been asked to take immediate steps to stop any unedited screening of the film in other countries. Nepal's Ministry of Information and Communication has issued some new regulations for screening of national and international movies. According to the new provisions, producers or distributors should take permission from Nepal Film Development Board to screen any film. In case of international films, English translation of the film's script should be submitted to the Censor Board and the film can be screened only after the approval of the Board. 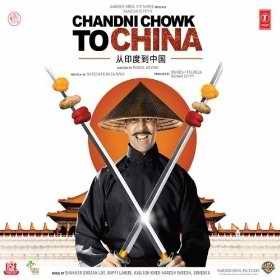 The ministry has taken such decision following recent protests of a Bollywood movie Chandni Chowk to China which mentioned that Lord Buddha was born in India.